4-inch iPhone 7 Mini Color Availability: Space Gray, Silver and Bright Pink? With the potential release of iPhone 7 Mini just over a month away, the rumor mill is completely abuzz with new things. According to a new speculation, Apple’s 4-Inch iPhone 7 Mini – as known as 6C or 5Se – may come In Space Gray, Silver and Bright Pink. The information was first featured on a Japanese website, Mac Otakara, which received details from a third-party vendor. This color was first seen in the iPod Nano seventh-generation and then on the iPod Touch. 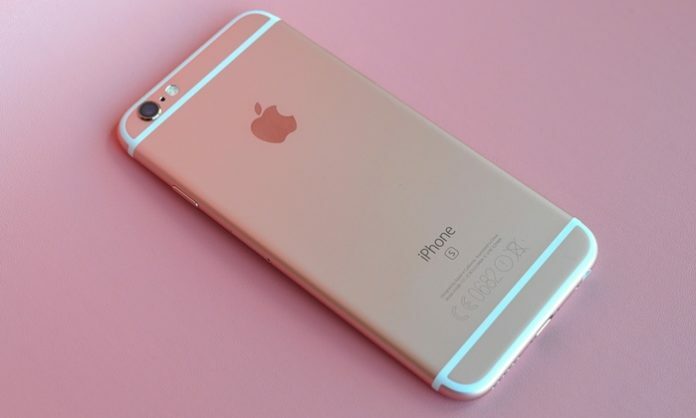 Both these colors are much brighter than the rose gold that you are used to seeing on the iPhone 6 and the 6S. Apart from the Rose Gold, the device may also be available in traditional silver and space gray that featured on the iPhone 5S. It is possible that Apple will include other color options as well, just like the iPhone 5c. As for the other rumors regarding the handset’s body, apart from the display size, there are also changes in the overall design. The major difference from the iPhone 5S is that there are no chamfered edges on the new device, so it may feature a design that is similar to the iPhone 6S. Other refinements indicate at a better and faster processor, that could be a combination of the A8 processor and the M8 coprocessor or the recent A9 chip and M9 coprocessor. The Cupertino giant is also looking to upgrade the camera module to an 8MP rear shooter and a 1.2MP front-facing one. Touch ID and Live photos are also something that may be available on the new iPhone 5Se, also known as iPhone 7 Mini. Pricing is a parameter that is much anticipated as well. We may be looking at a budget offering that is close to the $450 price point, at which the older iPhone 5S used to sell.